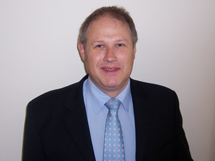 In April 1985 Mark commenced his career at Haines Norton, a second tier firm of Chartered Accountants, in Sydney as a Trainee Accountant. During the next ten years Mark gained substantial experience in all facets of accounting and progressed from a Junior to a Manager. 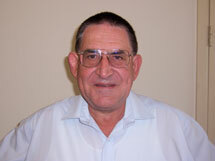 In 1990 Mark met the requirements of the Australian Taxation Office and was issued a Tax Agent Registration certificate. In December 1992 Mark obtained a Bachelor of Business Majoring in Accounting from the Macarthur Campus of the University of Western Sydney. In December 1994 Mark completed the CPA program to gain admission into the Australian Society of Certified Practicing Accountants. In June 1995 he completed the Public Practitioner Program & was awarded a Public Practitioner Certificate by the Australian Society of Certified Practicing Accountants. During his ten years at Haines Norton he developed strong relationships with a number of clients. In April 1995 Mark decided to resign from Haines Norton to setup practice as a sole practitioner in King Street, Sydney. A testament to the strong relationships that he had developed over the years was the number of clients that decided to move their business to his new office. 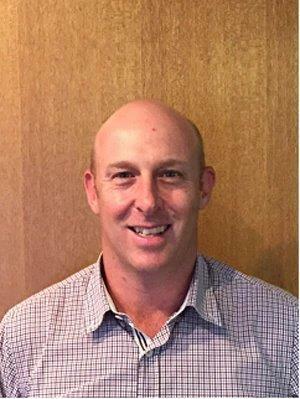 Mark has resided in the Macarthur Region since 1988 and in October 1998 he decided to purchase a small accounting practice at Narellan. For a short period of time Mark shared his time between the office in Sydney and the office at Narellan until in early 1999 he decided to close the Sydney Office. In January 1976 Graeme joined Deloitte Haskins & Sells, then known as Yarwood Vane & Co, a large firm of Chartered Accountants, as an accounting graduate. In 1979, having completed the Institute of Chartered Accountants professional year, he was admitted as an associate Chartered Accountant. During his time at Deloitte’s Graeme progressed to the level of supervisor and was responsible for the audits of a large number of local and international companies. 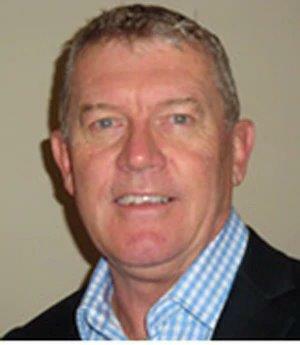 In January 1985 Graeme joined AWA Limited, then known as Amalgamated Wireless Australasia, a top 100 company, as assistant company secretary. As well as assisting with the statutory affairs of the parent company, his duties involved managing the taxation and insurance matters for the group and attending to all statutory requirements of the large number of subsidiary companies. In May 1994 Graeme left AWA and consulted to a few select small businesses. In May 2000 he moved to the Southern Highlands of New South Wales to manage, and look after the accounting affairs of, a thoroughbred horse stud. In May 2004 Graeme joined our firm and personally looks after the accounting affairs of a number of our larger small business clients. Shirley joined Mark Neaverson & Associates in March 2017 as an Assistant Accountant following the attainment of a Certificate IV in Accounting. She is now furthering this by studying a Bachelor of Accounting in Charles Sturt University. Her prior experience has been in hospitality with various aspects of hotel management. After taking a few years off to care for her young family, Shirley decided to re-enter the workforce to share her multitasking skills (as a mother!!) with our clients. Attention to details is what she thrives at and providing a continuous support to our clients is what she aims for. 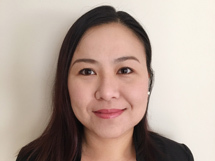 Shirley has quickly developed strong relationships with our clients due to her kind nature. Keeley joined Mark Neaverson & Associates in November 2018 as a Junior Accountant. Keeley is studying at The University of Western Sydney where she is enrolled in a Bachelor of Business. Keeley completed her HSC in 2017 before encountering a GAP year in 2018 which included a trip to Europe with her brother. Keeley has been involved in dancing from a young age and enjoys passing her knowledge onto Dancing students. Brendan Maguire has 30 years’ experience in the financial services industry, first joining the industry in 1986 and working in senior adviser, sales and management roles. Brendan has a Diploma of Financial Planning. Backed by a team of leading research analysts clients have access to a range of leading Australian and international fund managers as well as listed investments. Aaron Stephenson has more than 25 years’ experience in the general insurance industry working in both underwriting & broking roles, Aaron holds a diploma of Financial Services insurance broking. Aaron is committed to building long-term relationships with clients by providing them with appropriate professional advice and personal ongoing service.